Sun shining , moon rising , planets aligning , shine light in the dark of night . 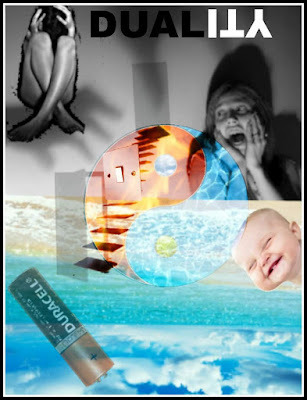 Welcome to duality , how we live life in this reality , open , close , open your mind to see . Up down , on an off , fast or slow , being sad or negative , choosing positive and being happy . So consumed by one or by the other , Wether it's fast or slow it doesn't matter , duality consumes you. What you have done and what your going to do , suffering depression it's no wander . We have hurt her and she is very weak , needs her occupants to awaken , so we can help her with ascension . Ride the line between duality , let your light shine through , bring life to our mother let's start thinking of her wellness .